Daily, Weekly, Yearly, and Lifelong Guidance! Each day, we have new Cards to play. These Cards give us the blueprint of the energy for that day. Once you have this blueprint, you can start consciously attuning yourself to realize the life you really want. Daily guidance delivered right to your inbox at 7 AM of your local time. Every day on Facebook and Instagram, I post inspiring and uplifting images and messages. I use Social Media to help you clarify your mind, find peace in your heart, and elevate your game. Each Monday from 12 Noon – 12:30 PM ET, join me for a virtual lunch date on Facebook Live. I’ll tell you about the Card of the Week. Chat with me and ask me your questions. I’ll guide you to play your cards right for the week! Tune into our Weekly Facebook Live Calls every Monday! 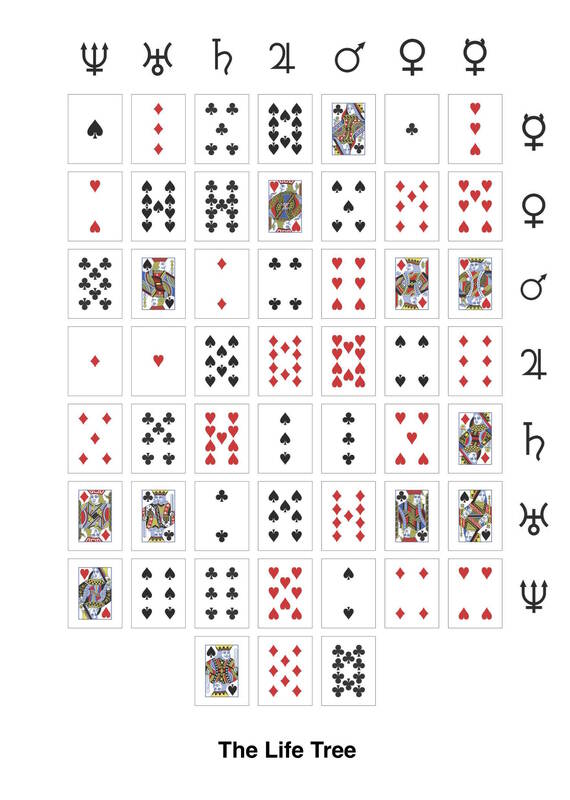 Find out your Birth Card, Personality Card, Yearly Card, and 52 Day Card so you can understand your patterns in life. 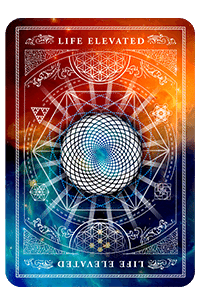 We are always playing out the patterns represented by our Cards, whether we realize it or not. We can either remain ignorant of our patterns in life OR we can choose to empower ourselves with the Knowledge to make better decisions. The original Tree of Life using the restored sacred geometry. This layout is sometimes called the Spiritual Spread. Using the restored sacred geometry. Also called the Grand Solar Spread, Mundane Spread, or Life Spread. 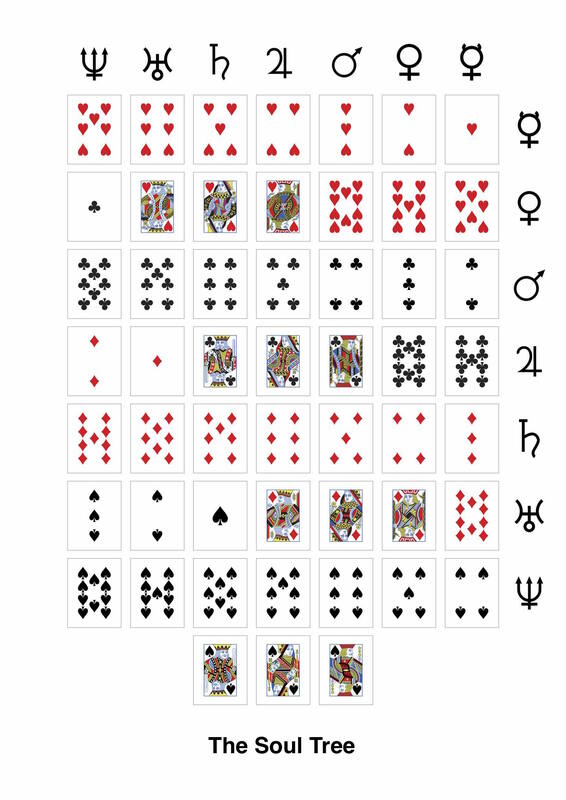 With no Jokers shown, depicting the planetary grid, and using the non-sacred card size plus familiar court icons. 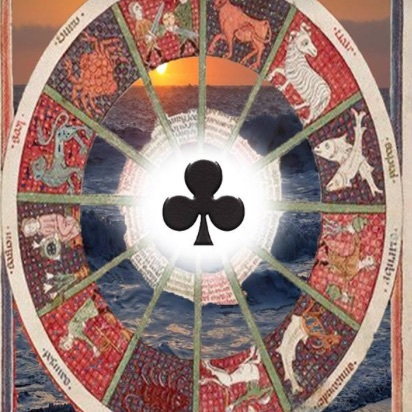 by Alexander Dunlop | We talk about the meaning and importance of the Mercury Card in the Life Path, and what it means if the Mercury Card is either a Heart, Club, Diamond, or Spade Card. We take live callers and give examples of how we can get tangled up inside our heads. We talk about the limitations of all Personality Profile Tests! by Alexander Dunlop | We talk about my book, a best-seller on Amazon's Hot New Release's list. 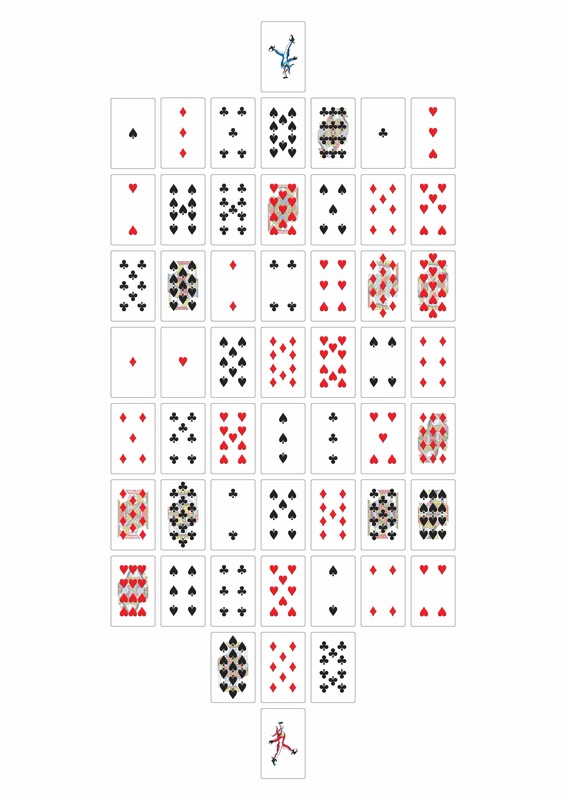 We take live callers born to play the Ace of Diamonds and 9 of Diamonds. We give them guidance about how to live their life purpose. We talk about the meaning of the 9s and the Jacks. We talk about pulling a card for the week. We discuss the meaning of the Joker. 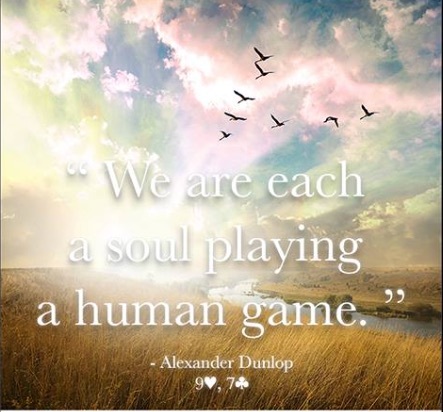 by Alexander Dunlop | We talk about how we can manage our lives better by living the truth of our cards... and how life interacts with us based on our cards to play. We take live callers born to play the 2 of Clubs and 4 of Diamonds and give them career advice. 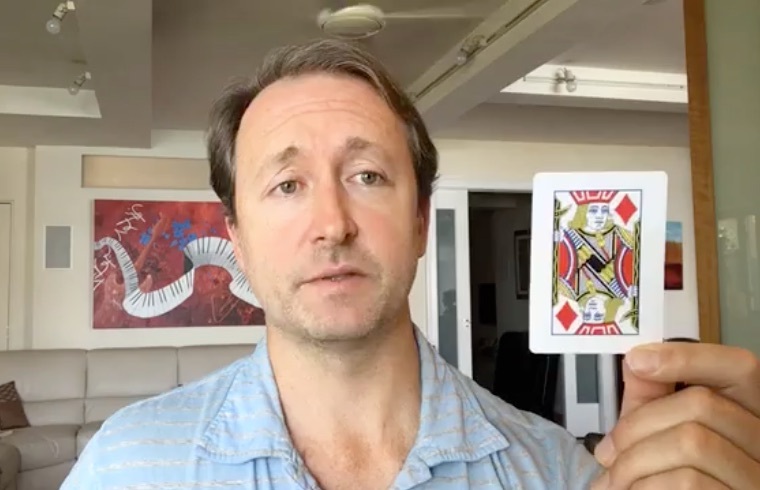 We talk about the general meaning and understanding of the Numbers 3, 4, 5, and 6.
by Alexander Dunlop | We talk about why it's important to know our cards. We give relationship and career advice to live callers born to play the 3 of Diamonds, King of Clubs, 5 of Clubs, 2 of Clubs, and 7 of Hearts. We talk about how the Jack's are an expression of Metatron's Cube. 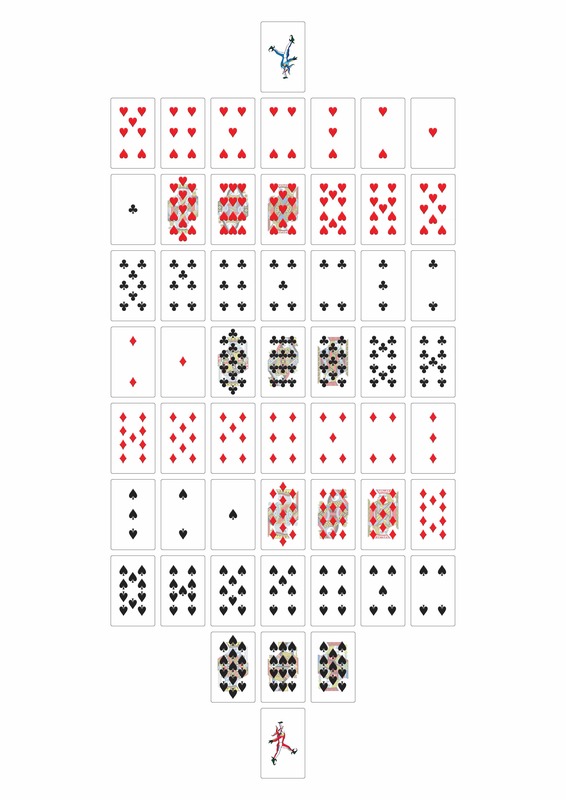 I share my personal strategy for playing my cards right. by Alexander Dunlop | We talk about the meaning of the Ace of Spades, and the life of a 4 of Clubs and Jack of Spades. We talk about this System of Knowledge as a fractal model of reality, and the difference between Odd and Even numbers. We talk about the mastery of the numbers 10, 11, 12, 13. We talk about our Shadow and Lifetime Reward Cards. by Alexander Dunlop | Are you living the life you were born to live or are you living a life wrongly imagined? We talk the importance of facing our Shadow side and how to know we are fulfilling our Soul's destiny. We give parenting advice on how to best support children based on their cards to play and what it means to appreciate the Intelligent Design of reality. by Alexander Dunlop | Ahead of the election, we talk about Donald Trump and Hillary Clinton. We talk about the significance that both Trump and Bernie Sanders are playing the 3 of Diamonds and Ace of Spades. I talk about what Trump's 7 of Diamonds Mars card means for him. I share how Hillary's King of Clubs Pluto Card is casting a shadow over her. by Alexander Dunlop | We discuss our Relationships in the cards. I explain how each suit has its own Love Language. Based on the suit of our birth, I talk about how we "speak love" in our relationships based on the Love Language of our suit. I talk about learning how to speak each other's Love Language to realize the relationships we truly want. by Alexander Dunlop | I recommend you skip his long intro and start at 17 minutes 50 seconds. I talk about the mathematics of this System of Knowledge and why it was known as the Book of Life. We discuss the meaning of subconscious games and deliberate obfuscation used to distract us. I tell the story of my Personal Spiritual Quest in detail. by Alexander Dunlop | One of the BEST shows I ever did. Patrick is born to play the King of Clubs, and he definitely asked me penetrating questions that provoked deep answers. I talk about the great irony of spiritual growth. I talk about the difference between who we are and who we think we are. I talk about faith, guilt, magic, Ayahuasca and serendipity.